Fig. 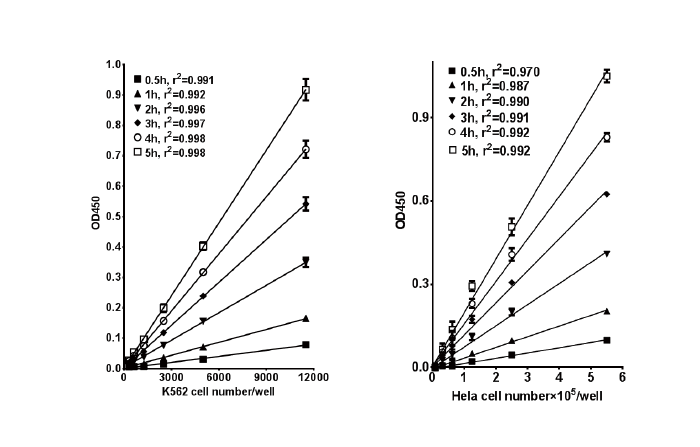 Different amount of cells were seeded into 96-well plate at different concentrations in 100 μl culture medium in triplicate. 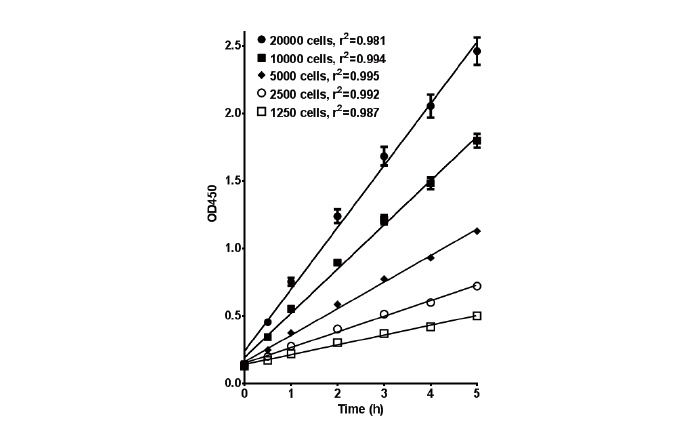 After adherence, 10 μl/well Biotool Cell Counting Kit-8 (CCK-8) or Dojindo CCK-8 was added, allowing cells to continuously culture for indicated duration in cell culture incubator. Absorbance at 450 nm was then measured in a microplate reader. 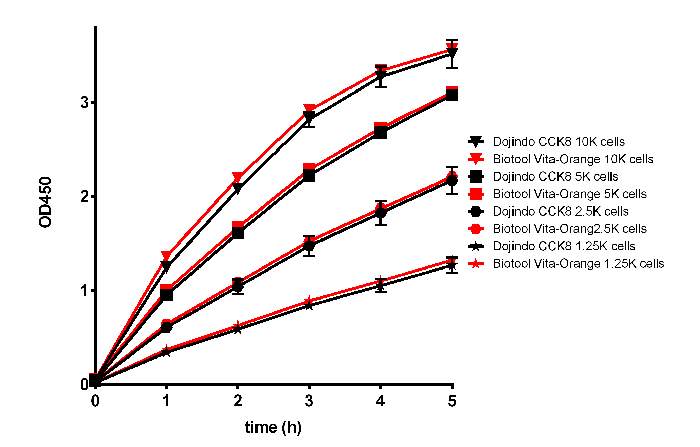 This data demonstrates comparable performance of Biotool Cell Counting Kit-8 (CCK-8) and Dojindo CCK-8. 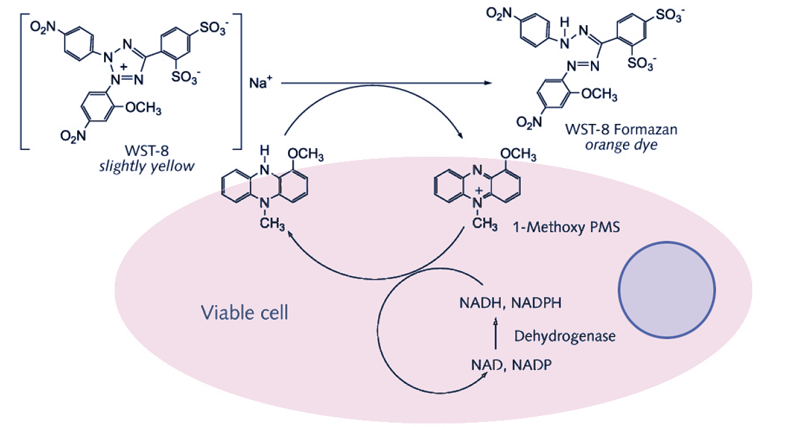 图1: Working mechanisms of Cell Counting Kit-8 (CCK-8).